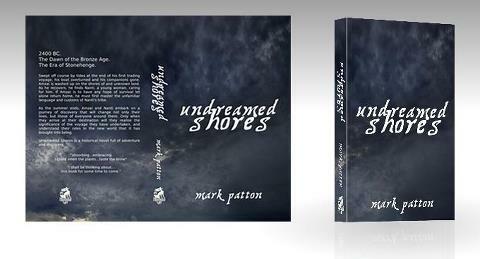 The paperback edition of my novel, Undreamed Shores, is published today by Crooked Cat Publications (www.crookedcatpublishing.com). Set in 2400 BC, and ranging over southern England, Northern France and the Channel Islands, Stonehenge features prominently in the novel. Coincidentally, just as the paperback edition went to print, English Heritage announced the results of new research using 3D laser scanning technology (http://blog.stonehenge-stone-circle.co.uk/2012/10/8/the-solstice-connection-laser-scanning-uncovers-new-stonehenge-evidence/), including a detailed analysis of the way in which the stones were shaped by the builders of the monument. 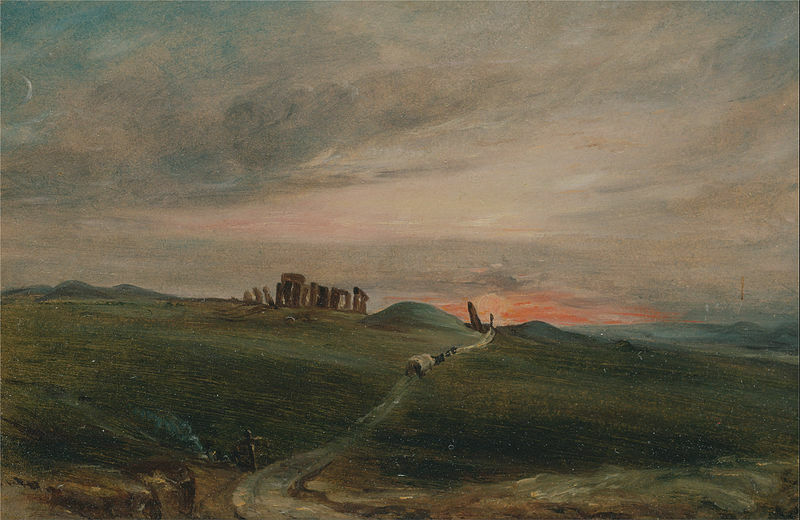 Whilst previous research on Stonehenge has emphasised the monument’s alignment towards the rising sun on the day of the Summer Solstice, the new research suggests an equally important focus on the setting sun on the day of the Winter Solstice. Stonehenge at Sunset, by John Constable (Yale Center for British Art). Whilst Undreamed Shores includes both a summer and a winter ceremony, it is the winter ceremony that I have chosen to imagine in greater detail, because this is the first ceremony that my protagonist, a stranger to British shores, witnesses at Stonehenge. This ceremony is likely to have involved a boat journey along the River Avon from Durrington Walls (the closest large settlement), followed by a procession along the Stonehenge Avenue, with the sunset being observed from the north-east, and this is precisely what I describe. The following extracts are from Chapter 9. The Stonehenge that Amzai visits is not the monument we see today. The bluestones, transported from west Wales, are present as a double circle, with a monolith at its centre, but the larger sarsens, including the great trilithons, exist, at this stage, only as an idea in the mind of one of the characters, Amzai’s brother-in-law, Gwalchmai. There is scope, here, for a sequel, but that is far into the future!